Where do you start when you are not sure what colors to bring into your home? Look to nature would be one way to go. Often times people will do a neutral palette because they think it is safe. It can also be boring if you are not careful. 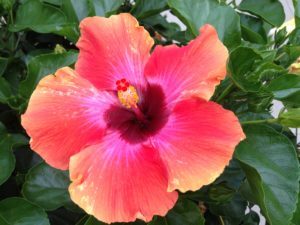 I was walking down the street of a town center when I came upon a big pot of hibiscus. They were perfect and the colors where outstanding. Consider using the hibiscus as your inspiration. Consider varying the intensity of the colors. Perhaps have dark green carpeting with pale yellow walls and a medium tone coral sofa. Let nature be your inspiration.